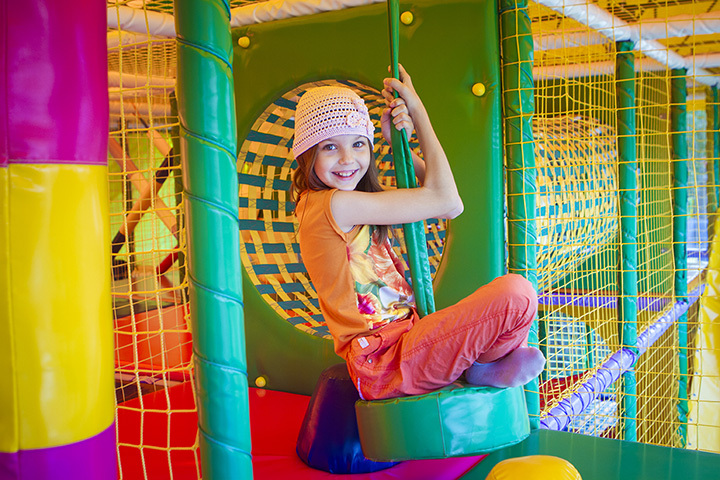 The 10 Best Kids’ Play Centers in Utah! Utah is a family-friendly haven that happens to be full of fun opportunities for all types of families, and subsequently, for all types of children. In fact, there is an abundance of places in the state that are specifically geared toward kids, which is just as good of news for parents as it is for their mini-me’s. Here are the best play centers in the state! As its name suggests, Discovery Gateway Children’s Museum was specifically designed with children and families in mind, and is basically an impressive series of interactive exhibits that will keep both your children’s hands and minds busy for at least a few hours. Discovery Gateway Children’s Museum gives kids the chance to play in a learning-focused environment. Located just a few blocks away from the Discovery Gateway Children’s Museum, the Clark Planetarium is another hands-on learning and play experience geared toward families. In addition to a 3D theater that screens dazzling educational films, the planetarium also has exhibits focused on mesmerizing natural phenomena. Kangaroo Zoo is basically a kid’s dream come true. And while there’s no educational bent to jumping around for a few hours on colorful inflatables, there is a lot to be said for the benefits of natural, uninhibited play. Kangaroo Zoo is not a trampoline or tumbling gym—it is geared toward younger children who take pleasure in small slides and climbing on small, inflated elephants. Find locations in North Salt Lake, Pleasant Grove, and Ogden. Jump Around Utah is similar to Kangaroo Zoo, but has additional features (such as a super safe, large trampoline) that would also entertain slightly older children. Like most of the places on this list, Jump Around Utah offers private and “semi-private” parties, and is also a great place to go with kids on a rainy day. It doesn’t get much more classic than Utah’s Classic Fun Center—pretty much anyone who grew up in Utah Valley or Salt Lake Valley can recount a few experiences that took place at one of its four locations. The trick with Classic Fun Center, though, is that each of its locations are different. The Orem location is probably the most unique location—it features a full-fledged roller-skating rink, plus a large arcade and activity center. Although not unique to Utah, My Gym Children’s Fitness Center is certainly unique in its approach to children’s play. At My Gym, children are encouraged to learn in a fun, physically engaging environment, oftentimes alongside their parents, and always accompanied by one of the gym’s coaches. At My Gym, young children are exposed to a range of different activities that teach them about the joy that comes with moving your body. A much less brutal version of paintball, indoor dart tag is Dartside’s main attraction, and as much as the indoor dart tag arena is great for kids, it is also plenty of fun for adults. Of course, younger children aren’t suited for something like dart tag, but children above eight years of age adore the competitive thrill of dart tag. The Wairhouse Trampoline Park is a trampoline lover’s paradise. And with proper supervision, at Wairhouse, children can jump, dunk, and chase each other to their hearts’ content. Wairhouse offers a discount for families on Monday nights, and is also one of the state’s most popular spots for birthday parties. Lowes Xtreme Airsports is very similar to the Wairhouse Trampoline Park in Salt Lake City (how different can trampoline parks be, really?) but is—for the most part—cumulatively better suited to older children and teenagers. Featuring foam pit after foam pit and plenty of mats for any sort of tumbling, acrobatic-type shenanigans, Lowes Xtreme Airsports is another spot where all can run wild (except of course, not too wild). High Jump is yet another blow-up play center with all the classic bells and whistles, but with some additional features that aren’t guaranteed at other play centers in Utah. These include a few unique blow-ups, as well as a climbing wall and a series of knotted ropes. This gym also offers tumbling and Zumba classes.